I was never really into SNL growing up. I watched MadTV which was much funnier, less problematic, and significantly more representative across gender, race, and sexuality than SNL. Before that, I watched Damon Wayans, Jamie Foxx, Jim Carrey, and Kim Wayans on the funniest sketch show ever, In Living Color. Next to the Chappelle Show, In Living Color remains the gold standard for late-night, live comedy television. So, no, I don’t have the fond SNL memories of Eddie Murphy (or his supposed David Spade drama), Chris Rock, or even Tracy Morgan. My time watching the show started when I was an adult, somewhere around maybe 2007 or so. Thus, my perception has always been from a position of critique. A couple of years ago, I went on a pretty epic tirade on Twitter using the hashtag #CancelSNL. This was following their “Black Jeopardy” skit that reduced Black people and their various experiences in the United States to problematic stereotypes and tropes that exist mainly in white people’s imaginations. That was back during the era of toothless internet activism and Black Twitter gatekeeping. Then, everything required a hashtag to draw the attention of the publishers and producers of shows like Saturday Night Live. I have come to realize though, that canceling SNL, or simply not watching for that matter, are not lasting solutions. 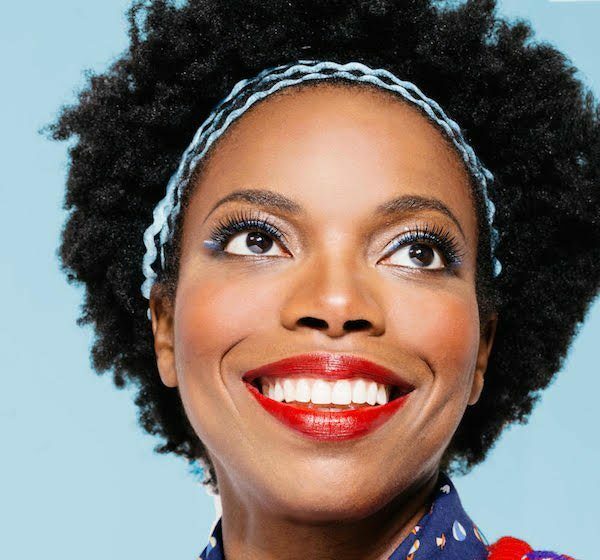 A few months before the skit in question, SNL hired chronically under-funny Sasheer Zamata. At the time, the show’s producers were also in talks to move Leslie Jones from the writer’s room to the acting floor. We should have known what to expect from her. Just a month after my calls to cancel the show, Jones performed her now infamous “Slave Draft” bit on Weekend Update. To call it a disappointment would be an understatement. The horribly out-of-touch and generally problematic skit drew a lot of attention. In it, Jones made light of the rapes of enslaved Black women. Then, she went a step further. Jones poked fun at Black women’s perceived functionality to receive sperm and bear children – regardless of willingness, and how that has become a dominant narrative in the white imagination. She even joked about not being able to get a man now but how she would be great for breeding in slave times. I wish this were an exaggeration. Zamata and Jones (who both have me blocked on Twitter after Michael Che condescended to me, calling my concerns “adorable” and being generally trash as per usual), have had two very different journeys on SNL. Jones is on her way to host the BET Awards next month. This, after a pretty spectacular movie debut in Ghostbusters last year alongside two SNL cast members Kristen Wiig and Kate McKinnon and five-time SNL host Melissa McCarthy. Zamata, on the other hand, is on her way out. The first Black woman cast member since Maya Rudolph left in 2007 is exiting just months after Jay Pharoah – one fifth of the Black cast members – was abruptly fired. She has played literally every Black woman in Hollywood: Rihanna, Beyoncé, Kerry Washington, Oprah, and Michelle Obama. Zamata was pretty much type-cast into stereotypical roles for her few, missable years on SNL. Dave Schilling referred to Zamata’s run as being indicative of membership in “the black female let down” club. I can’t disagree. Leslie Jones will now be the only on-screen Black woman talent. The 14-season veteran Kenan Thompson and “Weekend Update” cohost Michael Che will also remain on the show. None of this is totally surprising though. When SNL started, it had no Black people at all. Of the seventeen Black cast members SNL has had since 1975, only six have been women and few lasted more than 3ish seasons. It was never actually made for us. Instead, a few slots have opened when the current token Black was no longer needed or graduated to bigger and better things. In a past life, I called for greater representation of women, people of color, and other minorities on SNL. Clearly, I was invested in integration as a solution. I’m past that now because I have come to realize that I wasn’t actually trying to make the show better. The fact is: I don’t have some deep appreciation for Lorne Michaels or the show’s history. I don’t have some unattainable set of expectations in my mind that I hope SNL will one day reach. I just wanted something better, for us. My standard has always been those forms of entertainment that, imperfect as they might be, portray the fullness of us. I was trying to turn SNL into In Living Color or Chappelle Show. That’s not fair to me or anybody. Damon Wayans didn’t create In Living Color with his brother Keenan Ivory until after he left SNL. They helped launch the careers of folx like David Alan Grier, Tommy Davidson, Chris Rock, and even Jennifer Lopez. It wasn’t integrating at the root of that success. Quite the contrary. In Living Color was Black folx re-investing their own resources and talents to produce something special. It was pretty groundbreaking. So, I guess this piece is an “I told you so” response to both Sasheer Zamata and to myself. To Zamata because she blocked me after I called a show she is now leaving trash. To me because I was expecting folx who have never acknowledged the talents of those on the margins to magically change. I was expecting them to believe, like so many of us do, that our stories are not only valid but vital to the art of comedy itself. What was I thinking? I guess I’m completely over it now. Yet, I am more resolute in our demand that there be nothing created about us without us. We are, in fact, all we got.